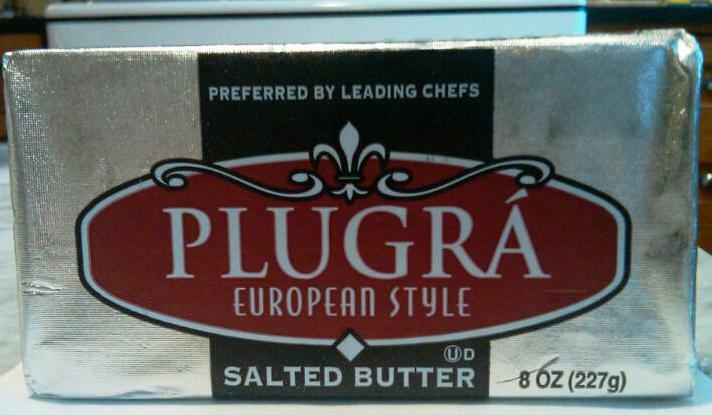 A Cake Bakes in Brooklyn: Plugra Butter at K-Mart? Yes, Indeed. It used to be that I had to search far and wide for Plugra, the European-style high-fat butter I favor in my baked goods. So imagine my surprise on Saturday when DH, in New Jersey to visit his mother, discovered my favorite butter in a suburban K-Mart! So remember (DH, are you listening?) always buy SWEET, unsalted butter for your baking needs. It's just one more way to guarantee delicious success. Thanks,Jane! I love that so many really good ingredients are so readily available everywhere. Though it is available in that New Jersey K-Mart, it's most commonly seen in high end grocery stores and markets like Zingerman's. Though I must confess that I bought four pounds of Costco brand butter on Sunday! I found it at Mejiers just this past Saturday.